Alan Moskin was born in Englewood, New Jersey on May 30, 1926. 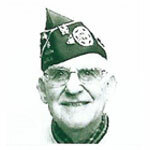 He attended Syracuse University both before and after his military service in World War II and graduated in May 1948. He then attended New York University Law School, graduating with a J.D. degree in June 1951. He practiced law as a civil trial attorney in New Jersey for over 20 years and subsequently worked in the private business sector until he retired in 1991. 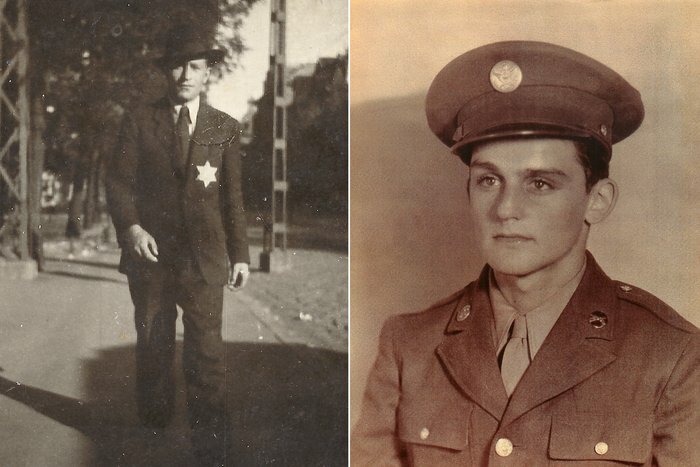 Alan was drafted into the military service at the age of 18 and served in the United States Army during World War II from September 1944 until August 1946. He was a member of the 66th infantry, 71st Division, part of General George Patton's 3rd Army. Alan's outfit fought in combat through France, Germany and Austria during which time he was promoted in rank from Private to Staff Sergeant. Alan presently resides in Nanuet, New York and he has spoken to Middle School and High School students as well as other groups in a number of different states and venues throughout the country about his experiences as an infantry combat soldier and a "Concentration Camp" liberator. He has done video recordings at the Museum of Jewish Heritage in New York City and at the Holocaust Museum & Center for Tolerance and Education in Rockland County, New York. He has also participated in programs at the United States Military Academy at West Point, at the U.S. Coast Guard Academy in Connecticut, at the German International School in White Plains, on Russian and Spanish television. on the CBS radio network and on the documentary "The Jewish Americans" on the PBS television network. Alan has two grown daughters and seven grandchildren. 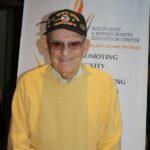 He presently serves as a Vice President on the Board of Trustees of the Holocaust Museum and Center for Tolerance and Education and is also a Past commander of the Rockland / Orange District Council of the Jewish War Veterans of the U.S.A. In addition, in 2014 Alan was inducted into the New York State Senate Veterans Hall of Fame and the following year he was elected by the Veterans Coordinating Council in Rockland County, N.Y. to be the "2016 Veteran of the Year." (Left) Nandor Katz in Budapest, Hungary, circa 1943. (Right) Alan Moskin, 18, at Camp Blanding in Florida, on Oct. 30, 1944. Alan's story of how he reunited with a survivor of the camp he liberated, was recently featured in Time Magazine - click here to read the article. To see maps of Alan's travels during the War, click here.